Serving the best of South Australian produce. 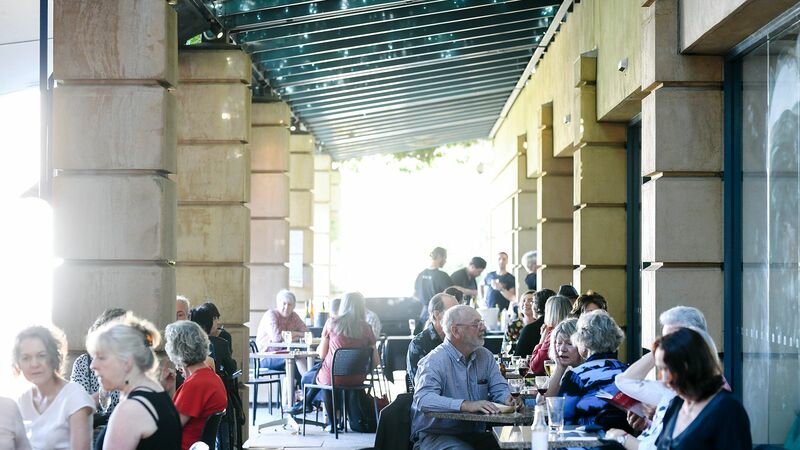 Art Gallery Food + Wine on the Gallery’s Courtyard Level is open daily with indoor and outdoor seating. Seasonal menus featuring fresh local produce are inspired by current exhibitions and programs. Complement your visit to the Gallery with a coffee and sweet treat, or stay longer for breakfast or lunch. Art Gallery Food + Wine welcomes diners of all ages. Whether feasting with family and friends, or looking for a venue for your next corporate lunch, make AGF+W your next dining destination. Let AGF+W host your next function; from cocktail parties, to weddings, dinners and corporate events. Open 9am to 4.30pm, 7 days a week. Open until 9pm on First Fridays. Enter for breakfast through the Fish Gates.